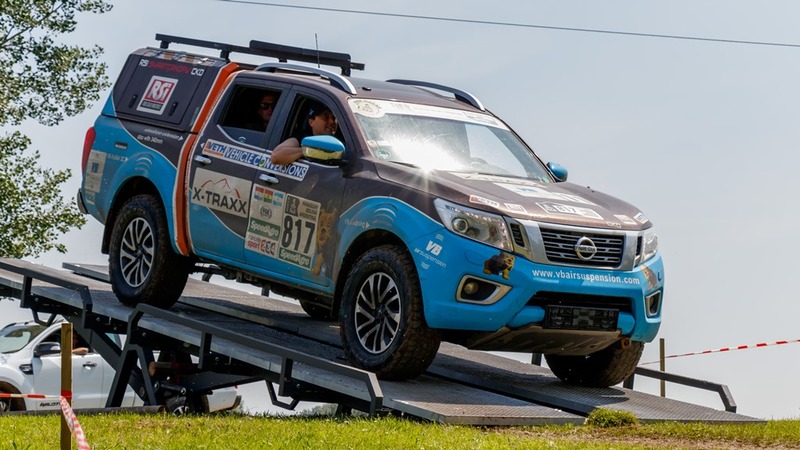 The sixth edition of the Dutch Dakar Experience, the business partner event with an informative aspect organised by Veth Automotive and VB-Airsuspension, opened its doors on 25 and 26 May. The visitors (business partners and exhibitors) were in for a unique, spectacular Dakar experience at the EVM19 events park in Maurik. Around 1100 visitors attended the successful event over two days. For us, the Dutch Dakar Experience this year had a ‘silver’ tinge as we celebrated our 25th anniversary. We put together a VIP programme for Friday 25 May to mark this special anniversary with guests joining us from around the world. The day started at the Van der Valk Hotel in Tiel with a presentation about VB’s 25 year history. After this, former Formula 1 driver Jan Lammers gave a presentation about sport, entrepreneurship and his relationship with VB-Airsuspension. The programme then moved to the Dutch Dakar Experience event, where the afternoon’s events were marked by fun and relaxation, excitement and speed. Later that day guests were treated to a fabulous dinner courtesy of the chef at Van der Valk Hotel and the evening concluded with a celebratory party. Various event partners also presented their products to visitors at the events park. Most of the partners and visitors were companies from the automotive industry. On Saturday we also welcomed many families with children who are living with a heart defect or serious illness who are supported by the Groot Hart foundation. The foundation established by Rob Kamphues is dedicated to giving these children an unforgettable day on the race circuit. This year too, the children and parents enjoyed a fantastic day at the Dutch Dakar Experience. Once again we can look back on a unique and highly successful event! We would like to extend our thanks to our business partners and customers for joining us on the day and all the suppliers, Dakar teams and partners for making this year’s event such a success. Want to find out more? Check out the photo album on our Facebook page and our super aftermovie.